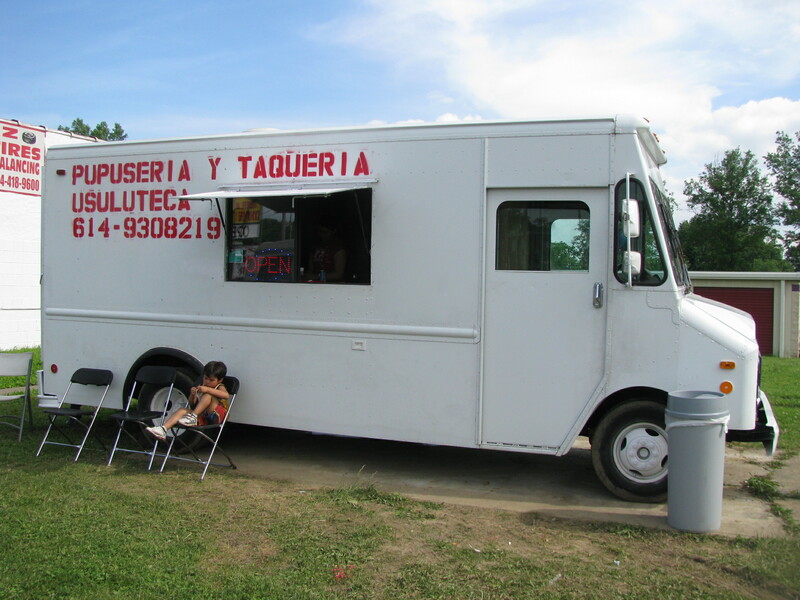 Note: Pupuseria & Taqueria Usuluteca is back from beyond, and they’ve upgraded to a new, fully mobile truck. As the owners, operators, and menu remain unchanged, the vast majority of what we originally wrote about them below still remains true (our taste test today verified it). 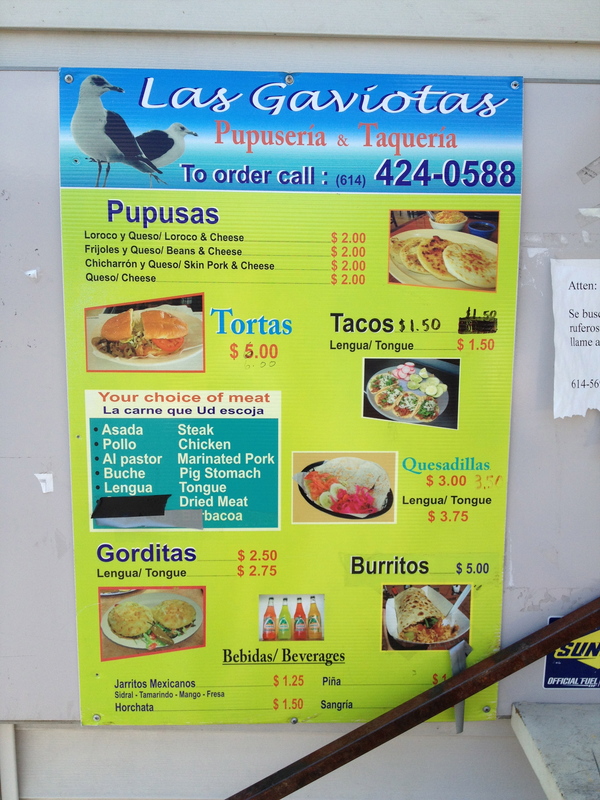 Probably the most noteworthy change is the inclusion of both loroco and chicken & cheese options for the pupusas. Elida and family were eager to inform us that last year, after having posted their truck here initially, they was tickled by all of the people (some apparently coming from as far as Cleveland) who visited after having read about them ‘on the computer’. 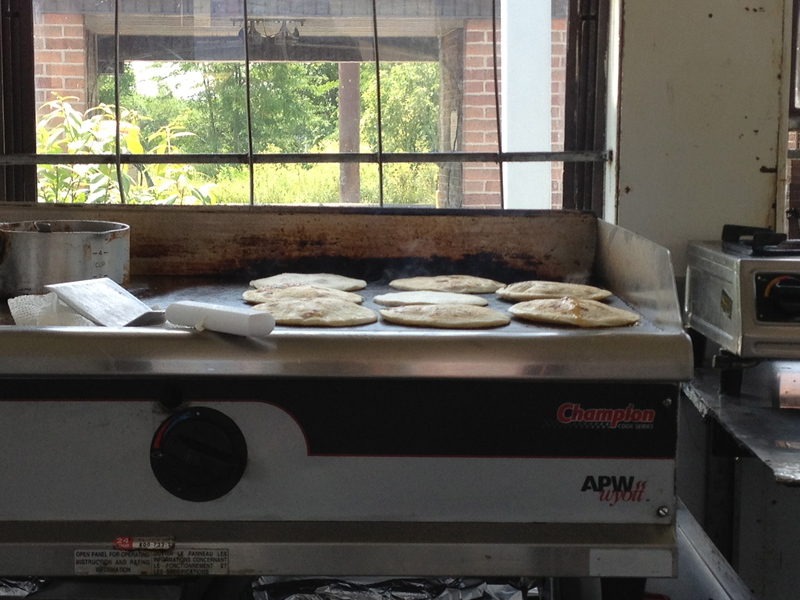 If you’re in the mood for trying Salvadorean cuisine, stop by PTA and let Elida whip up some pupusas for you (always from scratch). 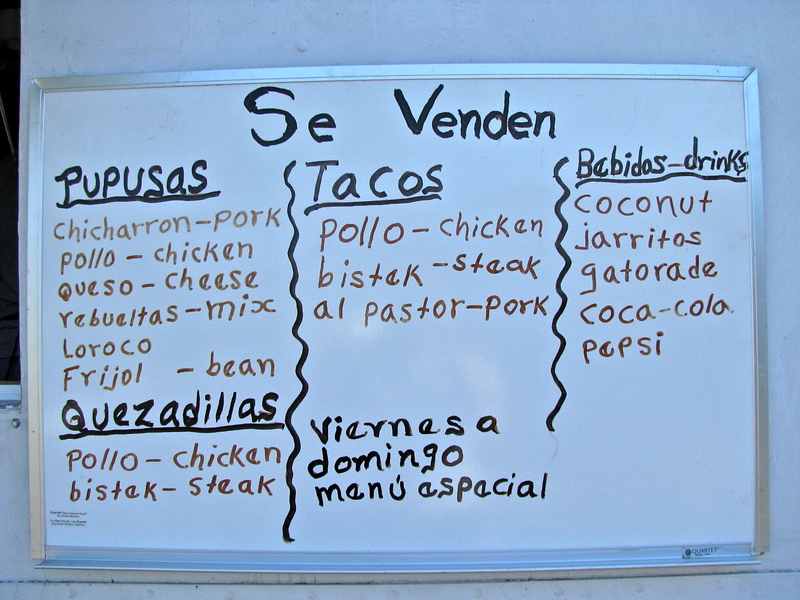 There seem to be a couple of set approaches that taco trucks take towards developing their menus – one is to provide as much variety as possible, and the other is to specialize in a small number of offerings done unusually well. This, of course, is not to say that the ‘jack of all trades’ trucks necessarily provide lower quality items, but rather to observe that it is imperative that the ‘minimalists’ do everything they do to a high level. 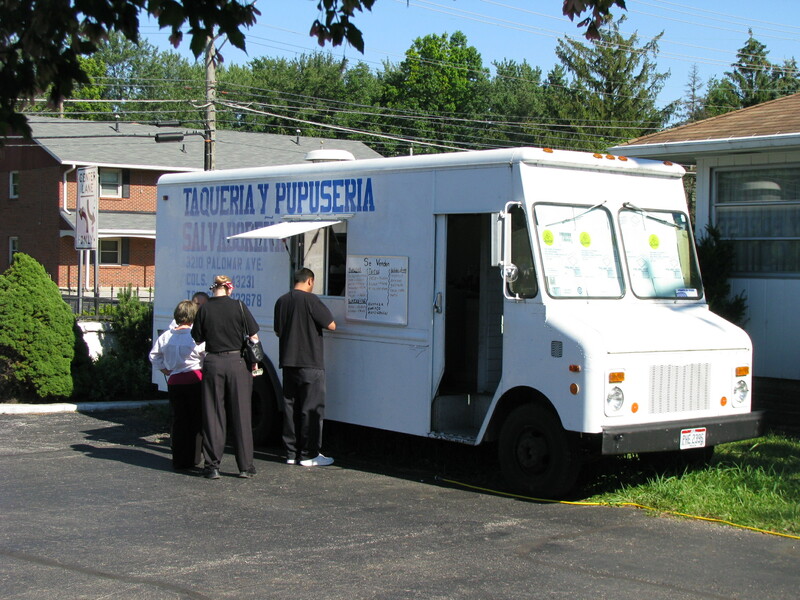 Enter Pupuseria Y Taqueria Usuluteca. 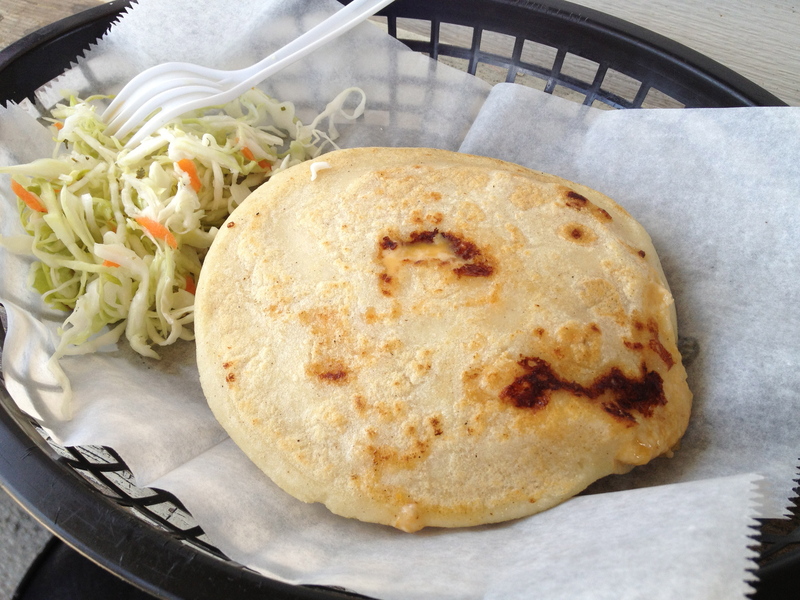 With their scant three options: pupusas, tacos, and quesadillas, they epitomize the ‘do a few things and do ’em well’ approach. 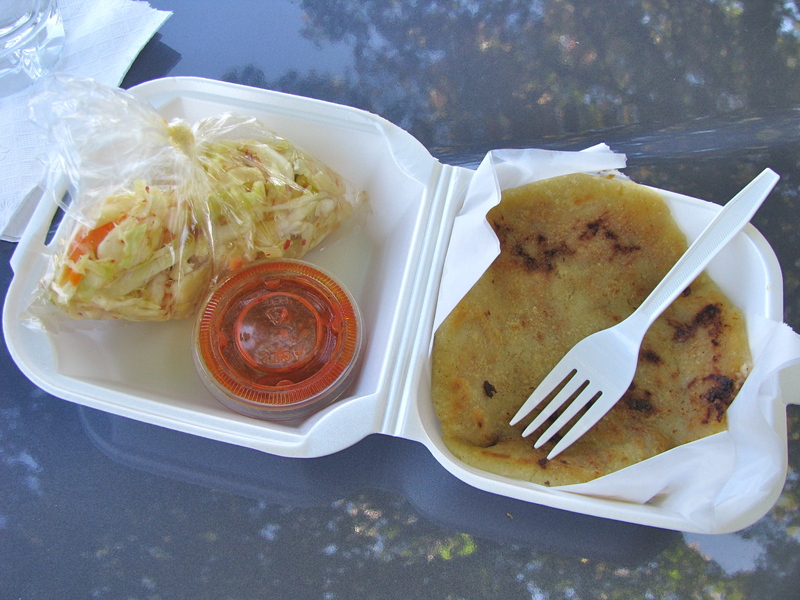 For example, the pupusas – hand made to order, these Salvadorian corn cakes are filled with beans and cheese, grilled till crisp on the outside and served with a side of the traditional cabbage salad (called curtido). 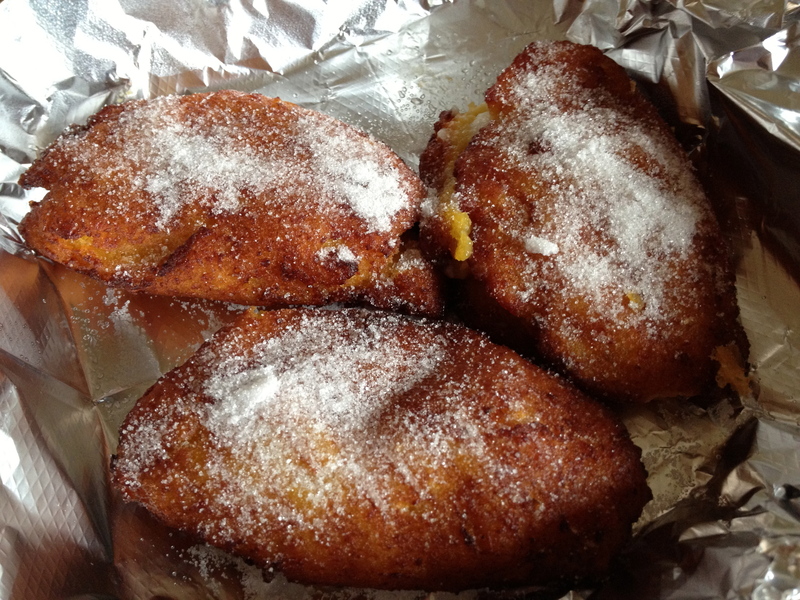 The initial crunch gave was to a soft, chewy inside, and the subtle flavor scored well with all who tried it. 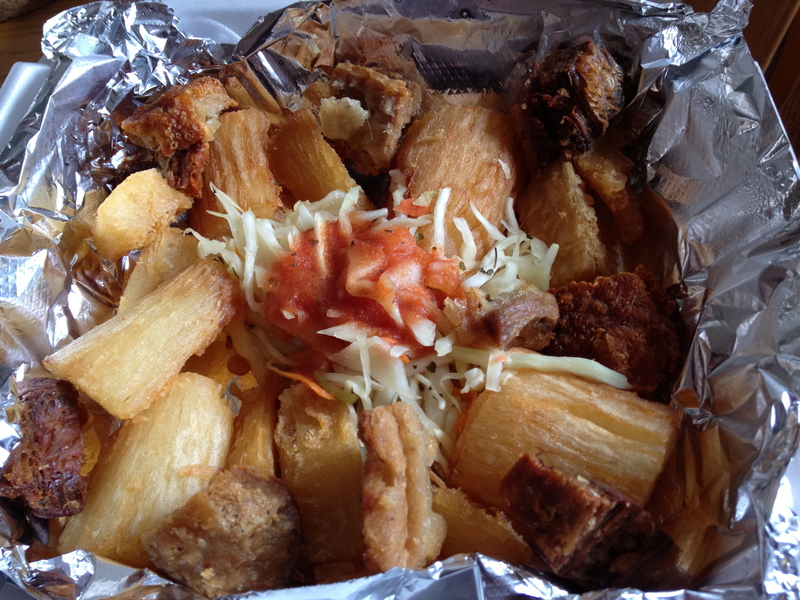 The curtido was dressed with a vinegary, slightly spicy red sauce and paired nicely with the rest of the dish. 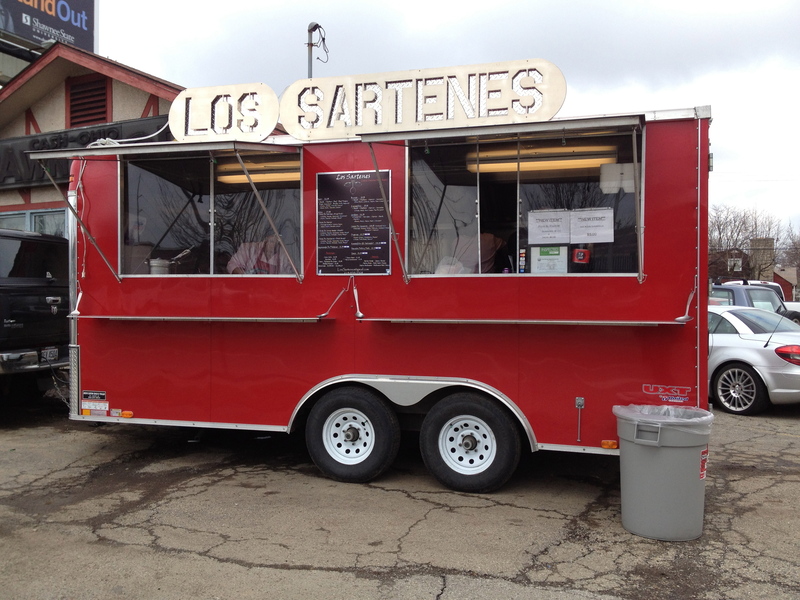 The tacos were equally satisfying, and revealed several differences that may be reflective of the Salvadorian origins of the owners. 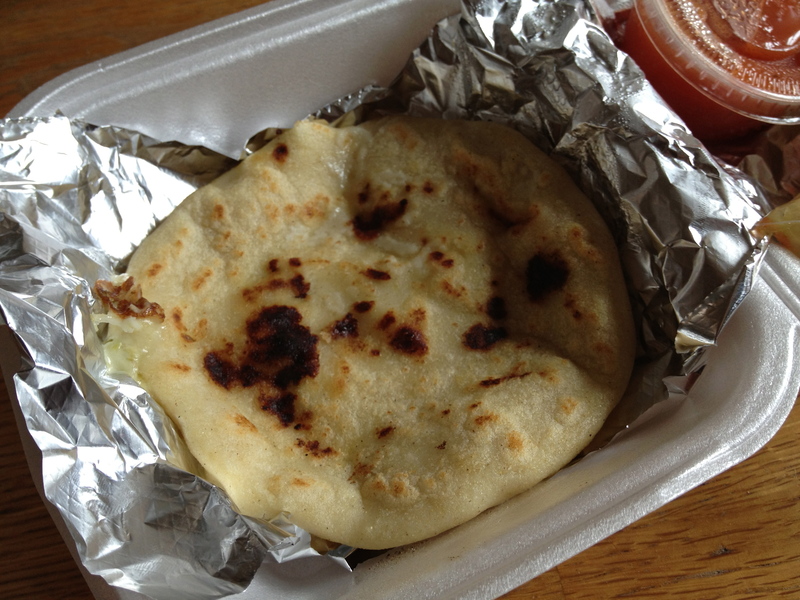 Unlike almost every other taco we’ve tried, the ingredients were placed on a single (though seemingly thicker than usual) tortilla, and were topped with a freshly made chunky salsa instead of the usual onions and cilantro. 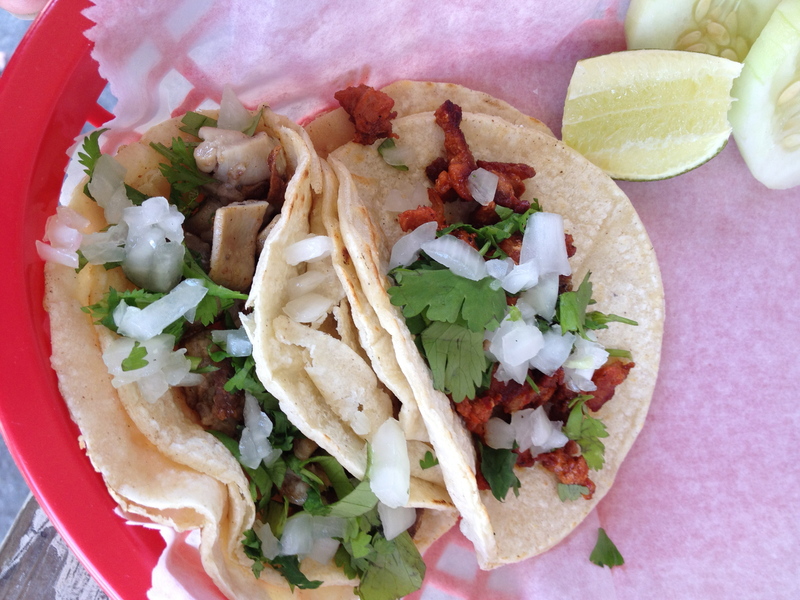 We tried them with asada and pastor, and found all kinds of taco contentment in each. 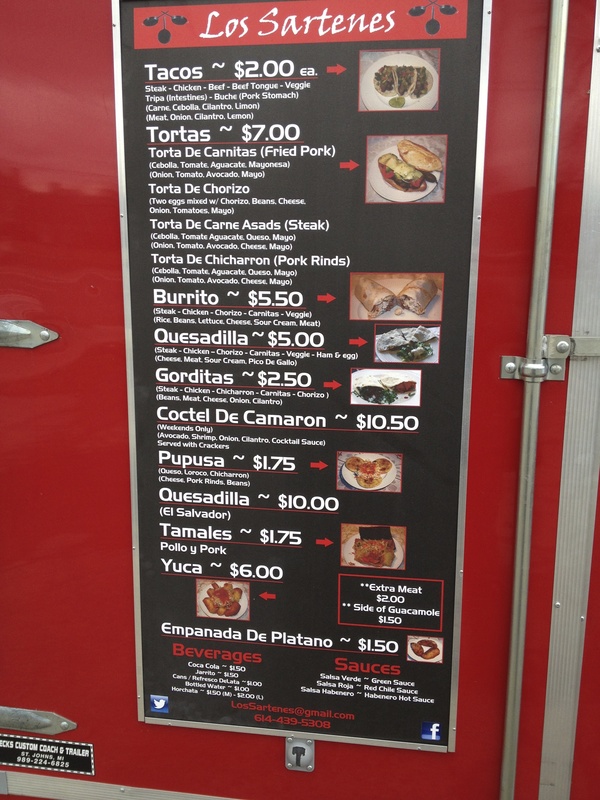 PTU’s operators are friendly and eager to please, give ’em a visit if you’re in the area.